Traditional burial services, with or without visitation and/or viewing, with service held in our chapel, your church or another facility, or at the graveside. 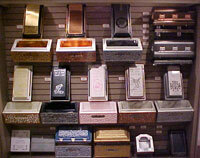 Cremation services: There are many options available with services including cremation. These range from a basic cremation with no visitation or service, to a full service including visitation and service followed by cremation. Other options include a basic cremation followed by a memorial service and a visitation followed by cremation with no service. Alternative burial service such as an immediate burial with no visitation or service. Shipping services: We can arrange to transport the remains of your loved one to another city, state, or country for interment. We will prepare the body, secure all of the proper documents, provide the appropriate shipping container, and arrange for transportation. We will also coordinate with the receiving funeral home to convey your wishes and ensure that a smooth transition occurs. We can also arrange to receive the remains of your loved one from another area and to provide visitation, services, or cremation. Pre-Need Consulting: Our staff will be glad to assist you in making prearrangements to record your wishes. For your convenience, we can come to your home to meet with you if necessary. We will make a written record of your wishes and you can pre-select merchandise items such as caskets, outer burial containers, or urns. We can also inform you of the benefits of pre-paying for your final expenses to lock in current prices and avoid higher costs at a later date. As per Georgia State Law, pre-paid funeral funds are 100% refundable should you change your mind or move to another area. General Consulting: Our staff will be glad to assist you in making your arrangements by providing names of area cemeteries and florists. We can also assist with providing someone to officiate at the service if you do not have anyone available and we can provide musicians as well. We will be glad to assist with filing insurance claims. Merchandise: We provide a high quality line of merchandise at very reasonable prices. 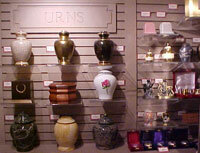 These include caskets, outer burial containers, cremation urns and urn vaults, and other memorial items. We also have the capability of producing a video memorial tribute of your loved one that can be used during the visitation and/or service. This is a lasting keepsake that can be treasured for many years to come. 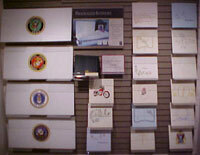 Additional copies may be purchased to provide to other family members as well. Payment: As payment for our services, we accept cash, checks, Visa, Mastercard, Discover, and verified insurance assignments.